A good salted caramel can be a glorious thing. You can find it in many forms, from chocolates to ice cream, to toppings and tarts. Unfortunately salted caramel can also be disappointing. Too much salt, or not enough. 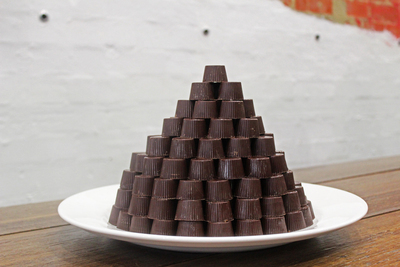 Have you discovered a delectable salted caramel in Adelaide? Where can we get our hands on it? I have not been able to look past Steven ter Horst's salted caramels, but I also like the salted caramel egg at Bistro Dom. I heard Bakinaire's is creating a name for some their selection of salted caramels. Missed this opportunity recently, but will have to make sure I take a detour next time I am in town. I think the best salted caramel store in Adelaide is at Steven ter Horst Chocolatier. I recommend St. Louis House of Fine Ice Cream & Dessert at Gouger St. It have many Ice Cream & Dessert such as Churros, Crepes, Strawberry Crepes. Salted Caramel Ice Cream, Milkshakes, Chocolate Brownie, Salted Caramel Ice Cream and etc.